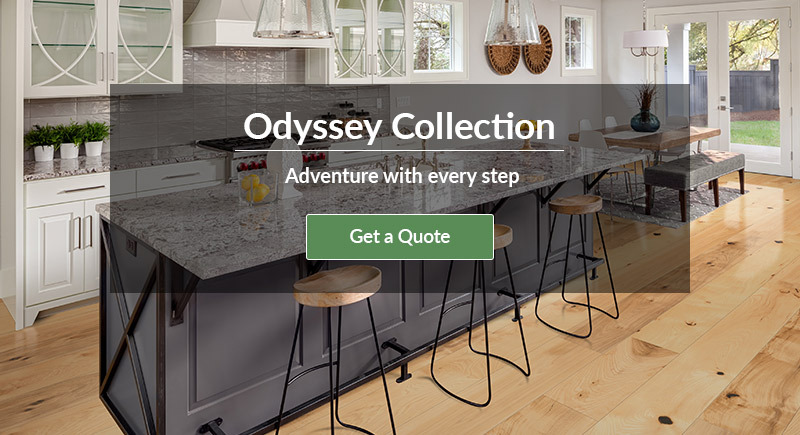 Embark on a design journey with the Odyssey Collection, and bring the rustic beauty of European oak, American hickory, and American maple into your home. Planks are extra wide and green to the core -- stabilized by a foundation of fast-growing plantation birch wood. 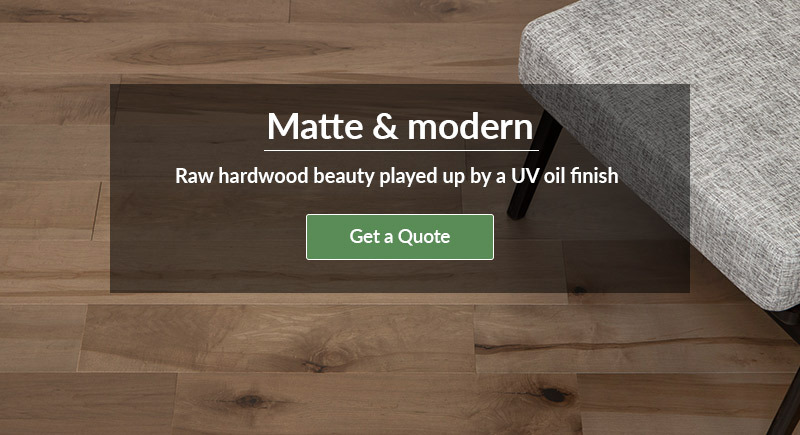 A safe-for-the-home UV oil finish provides surface protection while highlighting stunning grain and color variation. 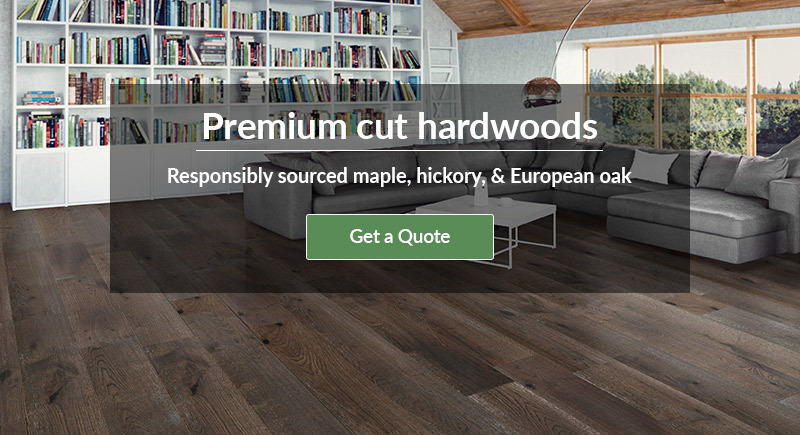 Our engineered floors feature a top beauty layer of hardwood over a sustainable foundation. These green cores include rapidly-growing timbers like acacia, birch, and eucalyptus, enabling planks to be larger, more dimensionally stable, and greener. -- select option -- Less than 300 sqft. 300 to 999 sqft. 1000 to 1999 sqft. 2000 to 2999 sqft. Over 3000 sqft. Yes, please subscribe me to receive promotional emails. Yes, sign me up to receive promotions via text message. No more than 3 messages per month. Standard msg & data rates may apply. I am interested in learning about Cali Bamboo Financing options. please call us at 1(888) 788-2254. 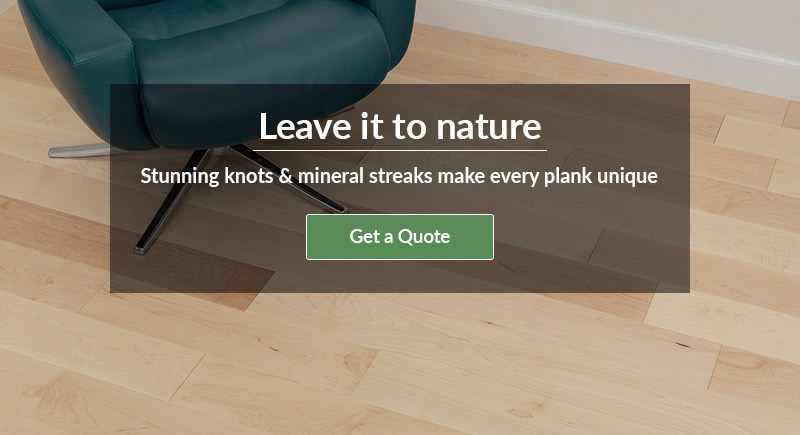 If you have submitted a request between the hours of 6am and 6pm PST M-F, a Cali Bamboo® green building specialist will contact you within the next 2 hours. If you have made an inquiry with us after hours, a representative will be in touch with you the following business day. NOTICE: Emails may automatically go to your spam folder.